scoop lake. British columbia. Canada. wilderness vacation of a lifetime. In the heart of the Muskwa-Kechika’s 15.8 million acres of protected green space lies Scoop Lake Outfitters, 2.5 million acres of remote wilderness nestled in the Cassiar Mountain range accessible only by aircraft. 2.5 million acres of protected mountains, lakes and valleys are waiting to provide you with an unforgettable wilderness adventure. Wilderness has been defined as "The most intact, undisturbed wild natural areas left on our planet—those last truly wild places that humans do not control and have not developed with roads, pipelines or other industrial infrastructure." Welcome to Scoop Lake Outfitters where sound wildlife management and land use protection plans provide an incredible opportunity for ecotourism. There are always a lot of exciting things happening around here! Keep up with the story - join our mailing list! We respect your privacy - and wont share a thing! 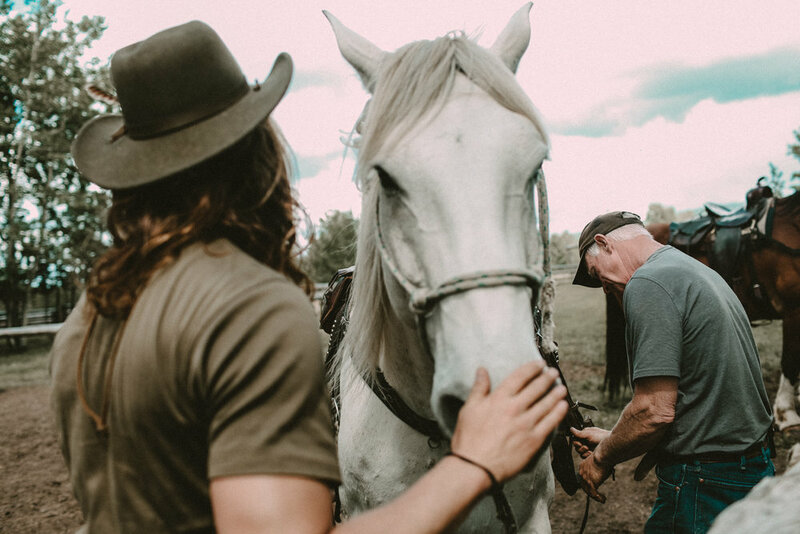 Experience a complete reconnection with the land and its wildlife. A chance to step back in time to when life was a little quieter and a little slower. From August 1st to October 15th of each year we offer free range, fair chase hunting trips. 100 air miles from the nearest power line our eco friendly cabins run primarily on solar and wind power. Free ranging for 6 to 8 months of the year our 60 plus head of horses are tough and independent. We grow a vast organic garden and greenhouse which contributes to a large portion of our fresh colourful meals. Only accessible by air, fly in with one of our three bush planes. Your hosts Darwin and Wendy Cary, and their daughters Tiffany and Trina will assist you with arranging your wilderness vacation of a lifetime. Darwin is second generation outfitter, his parents started outfitting in this region back in the 50's. Wendy has been in the area for over 30 years, and their girls have been raised here. let go. be calm. be well. Enjoy a week of rejuvenation at our remote fly-in only lodge located in one of northern British Columbia’s gorgeous valleys in the Cassiar Mountain Range. 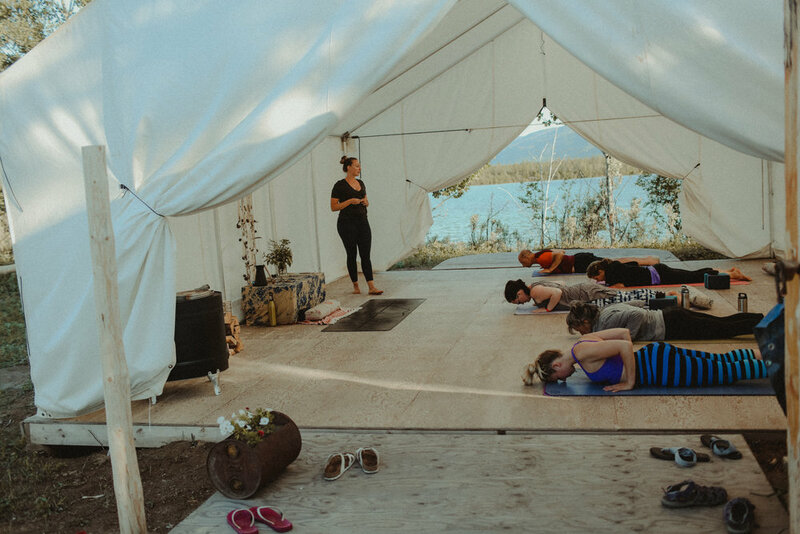 Our annual wellness retreat is a chance for anyone craving a digital detox to bliss out in remote northern British Columbia and reconnect with the present moment.